This is one of the core of PeopleHCM that is intended for HR Personnel to execute HR processes such as Payroll, Claims, Leave, Attendance and Overtime. This is the mandatory component of the PeopleHCM system. Built specifically for HR Department, it is used as the backend system for managing HR data and running processes such as Payroll, Overtime, Leave Carry Forward, Bonus, etc. You may Leverage on the one and only integrated system that simplifies and amplifies your payroll management. Accurate consolidative reports like yearly cost center payroll summary or monthly departmental lost hours are dependent on accurate data structure. All information in PeopleHCM is “point-in-time” sensitive. So reports will correctly allocate to a cost center when employees are seconded to different departments over a period. 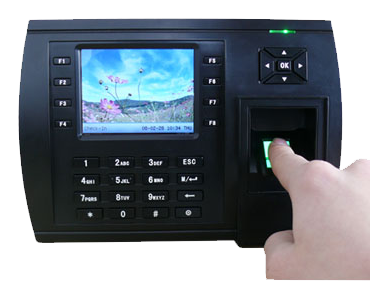 PeopleHRMS supports integration to a variety of time-attendance devices, ranging from biometrics, electronic tags, magnetic stripe cards and barcode badges. Device data is imported, clock-in and out data is automatically paired and used to calculate attendance, lost hours and payroll. ✔ Ready for setting different cut-off dates for basic salary, overtime, bonus, allowance and others. ✔ Executes bank auto-payment according to information on diskette. ✔ High level security compliance with Bank Negara security guidelines.